Imagining driving on the left side of the road frightens many travellers who wish to go to Ireland. But is it really necessary to rent a car to get to the numerous attraction this country has to offer? In Ireland there are many different possibilities to travel without having to drive a car. This article shall give you an impression of transportation you can use to get to know the Emerald Isle. By train you can visit the cities of Ireland. The starting point normally is in Dublin and from here you can go north to Belfast and Derry, you can go west to Sligo, Ballina, Westport, Galway and Limerick or head south to Tralee, Cork, Waterford and Rosslare. The trains usually are the fastest way to travel and fares start from €19.99. Buses simply go everywhere. They take longer than the train but they go everywhere you do or do not want to go (never heard of Inchigeelagh? Well after travelling by bus you have!). You can even travel the Ring of Kerry by public buses! And if you would like to get off the bus somewhere unusual – well, just tell the driver. 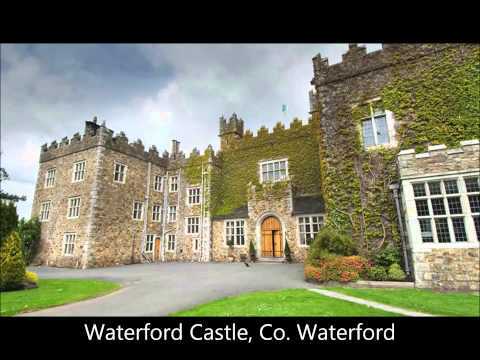 Fares are quite low, you could go from Dublin to Waterford for €18.50. You are staying in a city like Dublin and Galway and want to explore the surrounding? No problem at all! There are dozens of tour operators specialised on day trips. For example explore the Wicklow Mountains in a day or even go to the Giant’s Causeway in Northern Ireland! You can join the tours, meet new people and spend a lovely day at almost any attraction in Ireland. If you would like to visit all important attractions in a certain amount of time you can easily book a group tour via tour operator. There are a lot of possibilities to choose from and the tour with your preferred focus surely exists. You like the coast? Book a tour that explores the coasts of Ireland. You like old castles and monasteries? Again, there are tours for that. On group tours you will meet new people, spend the days at the most breath-taking attractions and travel relaxed while sitting in a comfortable bus. Also, you do not have to worry about organising entrance fees or accommodation as this is done by the tour operator. What is your preferred type of travelling in Ireland? Individualised and spontaneous travel by bus or train or organised and sociable trips with special agencies? Or do you like the adventure travelling by car and want to know more about driving in Ireland? Whatever it is that you prefer – our team will help you creating your customised tour on the Emerald Isle!